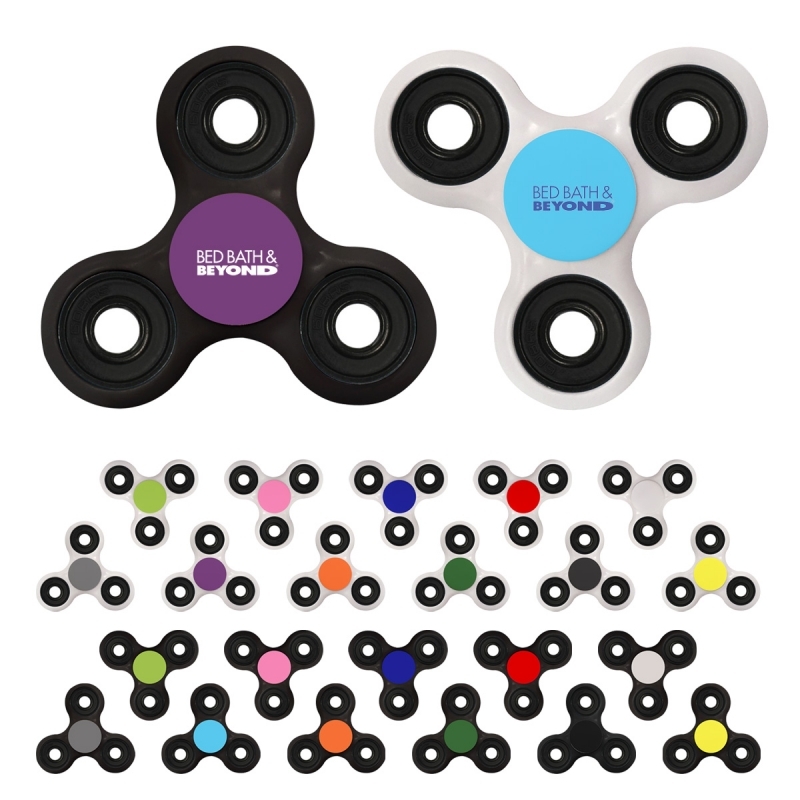 The fidget spinner has become one of the hottest products on the retail and promotional product markets. They’re everywhere! These pocket-sized spinners are held between your middle finger and your thumb and spins in a constant motion. They have been proven to reduce stress and boredom. They’re fun for all ages (5+) and fit perfect in your pocket, purse or backpack! Choose from a variety of body colors as well as an accent disk in the middle. This is where we can showcase your company or organizations logo. The minimum for this product starts at 100 pieces and basic pricing starts at about $2.61 each! Of course the more you purchase the lower the price! Contact us for a quote!